We're showing information for 91788. Customers and consumers are more informed concerning their purchasing options than ever. They look at reputations and business records, choosing the business that can best address their specific needs. That means the California market is always getting more competitive. Business owners in Walnut, CA need quick, dependable connectivity to capture the attention and loyalty of new customers. Frontier Business packages offer a variety of phone and Internet services—including Business High Speed Internet—designed to help you stay connected with both your customers and employees. With the future job growth rate expected to reach 21.34 percent in Walnut, competition among businesses in The Golden State can be tough, to say the least. Without the right tools, systems, and workflows in place, this level of competition makes it difficult for businesses to be successful. That’s why Frontier’s services for small businesses were designed to help you build your Internet presence with quality Web Development and Hosting. And with Managed IT options your digital files will be protected and accessible whenever you need them. Customers aren’t the only thing businesses are competing for—they’re also searching for the best people to join their team. Frontier’s offerings can help you connect with customers, recruit new talent, and forge lasting partnerships. Frontier gives you the tools you need to improve efficiency. You can promote sales with Texting and use Conferencing to work on projects with your team when someone is away from the office. Growing companies in California should invest in scalable technologies. Check out Frontier’s Enterprise Solutions, which are designed to tackle the challenges that come from moving through a transitional phase of development. It is important to invest in products and services that will continue to meet your needs as your company gets larger. No matter how rapidly your company grows, scalable Ethernet (Local Area Network and Virtual Private Line) will continue to provide the bandwidth and connectivity that modern business demands. That’s not all either. The Frontier IP Virtual Private Network keeps your data safe by providing a secure IP connection when you access digital files and websites. Size and scope aren’t the only factors expanding businesses need to be concerned about. That’s why new technology is also imperative if you want your company to meet the demands of Walnut business. Centrex from Frontier is the next generation of telecommunications, offering high-quality telephones that keep you and your customers connected from anywhere. 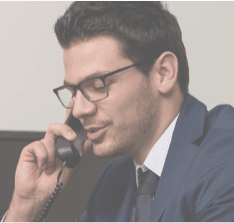 And with our Hosted VoIP solution you’ll not only receive an excellent phone connection, but also a variety of other features like voice-to-email integration, Caller ID, unlimited nationwide calling, and voicemail. 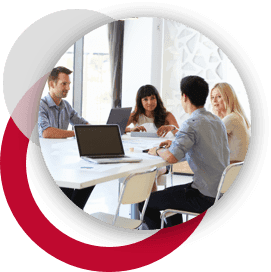 To make things even easier, Frontier Communications handles everything from hosting and monitoring to network design and equipment. When you choose Frontier’s services, you can focus on providing the best service to your customers in The Golden State. Businesses across the nation are falling victim to cybercrime. You may be surprised to learn that 0 cybercrimes were reported in California in 2013. On the bright side, Frontier Secure gives you the tools you need to keep your customers, employees, data, and business assets kept safe. Frontier Secure provides cloud backup solutions, malware and virus protection, as well as expert technical support to ensure your online interactions are safe and protected. Additionally, Frontier also helps California business owners protect certain physical assets through its equipment replacement program. With Frontier business Internet solutions you can expect speeds up to , a cut above California’s average Internet speed of 37Mbps. Faster Internet speeds mean your business is more productive and profitable. Less time spent downloading and sharing files means more time is available for serving customers. Frontier gives you the speed and protection that will move your California business ahead of all competitors.